New C9510-401 Exam Questions and answers, 100% Pass C9510-401 Exam, Valid C9510-401 Study Guide ! Q1: Can I use C9510-401 exam Q&As in my phone? 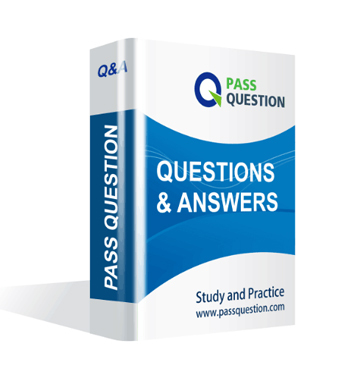 Yes, PassQuestion provides IBM Certified System Administrator C9510-401 pdf Q&As which you can download to study on your computer or mobile device, we also provide C9510-401 pdf free demo which from the full version to check its quality before purchasing. Q2: What are the formats of your IBM C9510-401 exam questions? PassQuestion provides IBM C9510-401 exam questions with pdf format and software format, pdf file will be sent in attachment and software file in a download link, you need to download the link in a week, it will be automatically invalid after a week. Q3: How can I download my C9510-401 test questions after purchasing? We will send IBM Certified System Administrator C9510-401 test questions to your email once we receive your order, pls make sure your email address valid or leave an alternate email. Q4: How long can I get my IBM Certified System Administrator C9510-401 questions and answers after purchasing? We will send IBM Certified System Administrator C9510-401 questions and answers to your email in 10 minutes in our working time and no less than 12 hours in our off time. Q5: Can I pass my test with your IBM Certified System Administrator C9510-401 practice questions only? Sure! All of PassQuestion IBM Certified System Administrator C9510-401 practice questions come from real test. If you can practice well and get a good score in our practice Q&As, we ensure you can pass your IBM WebSphere Application Server Network Deployment V8.5.5 and Liberty Profile, System Administration exam easily. 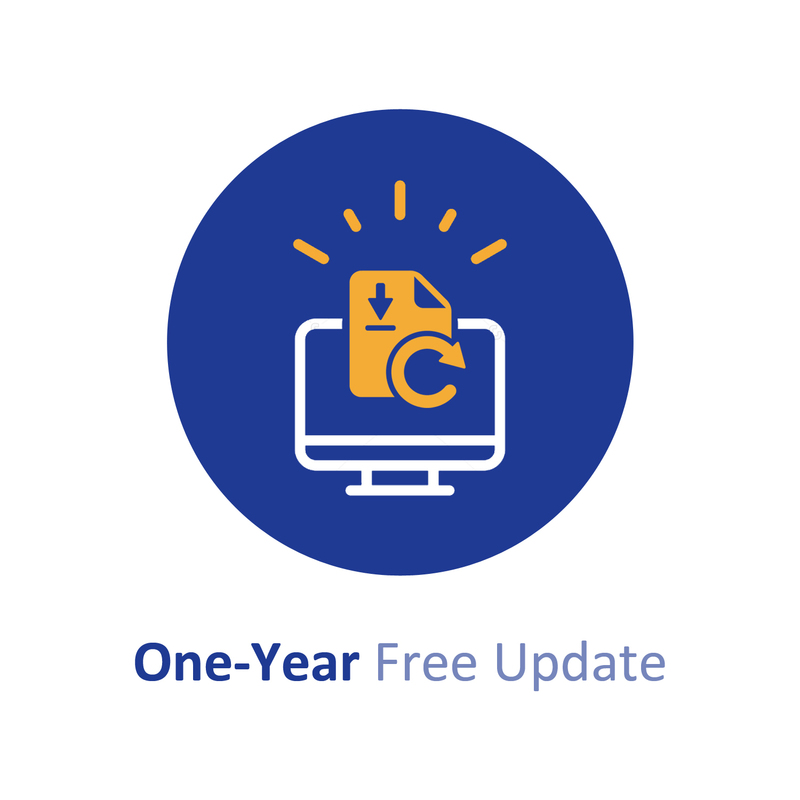 Q6: How can I know my C9510-401 updated? Q7: What is your refund process if I fail IBM C9510-401 test? If you fail your C9510-401 test in 60 days by studying our study material, just scan your score report and send to us in attchment,when we check, we will give you full refund. A system administrator, Admin1, with Administrator privileges has archived full repository checkpoints. Another administrator, Configurator1, with Configurator privileges has copied the checkpoint contents directory from one of the archived check points to its original location. Configurator1tries to restore the configuration using the copied archived checkpoint contents and the restore fails. How can Configurator1 restore the configuration using the copied archived full repository checkpoint? A. Copy the archived checkpoint metadata directory to its original location. B. Increase the Automatic checkpoint depth to keep all the delta checkpoints. C. Delete the delta checkpoints taken after the full repository checkpoint was taken. D. Ask an administrator to update the privileges for Configurator1 to matchAdmin1. A system administrator completed a WebSphere Application Server installation by using the Installation Manager. During installation, all defaults were selected for the installation root directories and the shared resources directory. Over time, the administrator has updated the installation with various interim fixes and fix packs. The administrator notices that the shared resources directory is very large in size and grows larger each time the Installation Manager is run. How can the administrator decrease the size and remove some of the content from the shared resources directory? A. Manually delete content from the directory. B. During an update, create a new shared resources directory. C. Clear the Delete Saved Files option for the Installation Manager. D. Set the preserveDownloadedArtifacts preference to false. The installation of WebSphere Application Server did not complete successfully, and a system administrator needs to troubleshoot the installation. What can the administrator do to identify the cause of the installation failure? A. Run the installer command with the appropriate command line options. B. Check the files under the Agent data location of IBM Installation Manager. C. Check the files under the logs directory of IBM Installation Manager installation directory. D. Check the log.txt under <WebSphere Application Server install directory><log directory>. A system administrator needs to install WebSphere Application Server using response files, so that silent install can be done. The administrator has ensured that all required prerequisites have already been installed and, has downloaded and expanded the required WebSphere Application Server installation files. What can the administrator run to install the product? The computer where a federated node was running had a failure and cannot be recovered. A system administrator wants to recreate the node with the same configurations in another computer. Which steps should the administrator execute in order to recover the damaged node? A. Configure the new computer with a different hostname. Create a custom profile with the same name. Federate to the cell using the command addNode with the default options. B. Configure the new computer with a different hostname. Create a custom profile with a different name. Federate to the cell using the command addNode with the option -asExistingNode. C. Configure the new computer with the same hostname. Create a custom profile with the same name. Federate to the cell using the command addNode with the option -asExistingNode. D. Configure the new computer with the same hostname. Create a custom profile with the same name. Federate to the cell using the command addNode with the options -includeapps. A system administrator needs to create a cell for a test environment. The administrator uses the Profile Management Tool (PMT) to create the deployment manager profile using the advanced profile creation option and creates a custom profile using the typical profile creation option. The administrator examines the log files for the custom profile creation and sees an INSTCONFFAIL message indicating the deployment manager was not running during the custom profile creation. How should the administrator fix this? A. Delete the custom profile. Start the deployment manager. Create the custom profile again. B. Start the deployment manager. Use PMT to re-create the custom profile. A system administrator needs to install WebSphere Application Server Network Deployment V8.5.5 multiple times and would like to automate the task of installing the product. The administrator wants to create a response file based on an initial installation and use this for future installations. A. Use the IBM Packaging Utility. B. Use the Installation ManagerConsolemode. C. Complete a silent installation with the -log option. D. Start the Installation Manager GUI with the -record option. A WebSphere Application Server cell was configured with a deployment manager node and a custom node. An operator manually changed some configuration files in the custom node, and the node became out of synch with the master repository. The system administrator used the Synchronize button in the system administration session of the Integrated Solutions Console (ISC) to try to resynchronize the node, but the node remained out of sync. What should the administrator do to fix it? B. Invoke "sync" operation on NodeSync MBean. A system administrator has installed WebSphere Application Server Network Deployment V8.5.5 using the silent installation process and needs to verify that the installation completed successfully. What does the administrator need to do to verify a successful installation? A. Launch the Installation Manager GUI, and verify the installation by going to File -> View Installed Packages. B. Run the command IBMIM listinstalledPackages and check that the appropriate WebSphere Application Server package is listed. C. Check for INSTCONFSUCCESS message at the end of the <webSphere Application Server install directory><log directory>log.txt file. D. Use the installer command to compare the checksum of the product file to the correct checksum value in the bill-of-materials file and make sure that the checksums match. A system administrator suspects that the slow performance of an application might be caused by lock contention. To debug this further, what can the administrator do using IBM Support Assistant? A. Analyze the running server using IBM Monitoring and Diagnostic Tools for Java -Health center. B. Collect a javacore and analyze it using IBM Monitoring and Diagnostic Tools for Java - Health Center. C. Collect three thread dumps at equal time intervals and analyze them using IBM Monitoring and Diagnostic Tools for Java - Dump Analyzer. D. Collect three system dumps at equal time intervals and analyze them using IBMMonitoring and Diagnostic Toolsfor Java - Memory Analyzer. A system administrator ran the backup Config command to backup the configuration using the nostop option. The administrator changed the properties for the service integration environment by modifying the sib.properties file. During testing the administrator noticed Service Integration Bus related errors and wanted to restore the service integration environment. The administrator used the restore config command, but the tuning properties for the service integration environment were not restored. How can the administrator prevent this issue? A. Use full repository checkpoints for both the backup and the restore. B. Use the restoreconfig command with -nostop for the restore. C. Use the manageprofiles command for both the backup and the restore. D. Use the backupconfig command without -nostop for the backup Use the restoreconfig command without -nostop for the restore. A system administrator was asked by the development team to inform them of any warning message which contains a string "Connection" on a WebSphere Application Server with High Performance Extensible Logging (HPEL) enabled. What should the administrator do to continuously monitor logs for the required message? A. Configure log detail levels to include filter on "Connection" string. B. Use the Log Viewer in the administrative console with filter on "Connection" string. C. Use the logviewer.sh or logviewer.bat command with appropriate options. D. Use the Log Viewer in the administrative console with filter on "Connection" string and enable the 'Refresh automatically' feature.